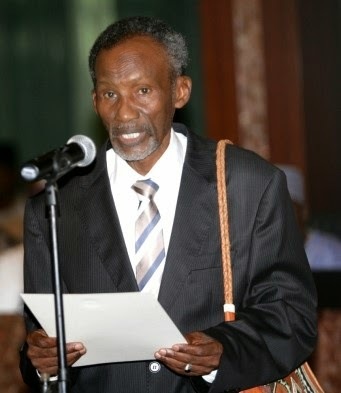 According to the CJN, “Indeed, Judges find it difficult to identify which counsel, appearing before them, is genuine or otherwise. ‎”I believe that the stamp can, if properly deployed, become a hallmark of a firm’s work and a way for prospective clients to better identify their counsel- a veritable means to “Know Your Counsel”. “Thus, having an innovation, which may bestow a “stamp” of integrity and respect, is indeed welcome. “This event is also timely in its occurrence. Our Judiciary is similarly introducing the greater use of information and communications technology solutions like legal email and court automation into the administration of justice in the tri-strata of our Superior Courts. “I believe that an enhanced synergistic use and adoption of appropriate ICT innovations will further enhance our ability to bring the legal profession into the 21st century and re-position the temple of justice to provide effectively a qualitative justice dispensation system that meets the complex demands of our dynamic society. “These innovations will soon include the electronic service of hearing notices from the Supreme Court and more secure inter- and intra- communications platforms between the Courts and Legal Practitioners. “My lords, Ladies and Gentlemen, I am confident in the ability of the leadership of the NBA to sustain and engage all members of the Bar in this initiative. “However, I urge the NEC of the Bar to ensure that a proper management structure is established to administer the scheme, as this will enhance the confidence of the users, while also reducing the avenues wherein fraudulent misuse may be occasioned. “This launch celebrates the welcome actualization of a long held aspiration of the Bar for which the President, NEC, and indeed predecessors in office, should be applauded and commended. “To contextualize this innovation, a key role of the NBA is the regulation of its members’ identities through various means of identification. “Indeed the significance of this event is underpinned by the provision of Rule 10 (1) of the Rules of Professional Conduct for Legal Practitioners 2007. “This rule mandates that a lawyer acting in his or her capacity as a legal practitioner, legal officer or adviser of any government department or corporation, shall not sign or file a legal document unless his stamp and seal are affixed on any such document. Testimony: Miraculous Escape from Kidnappers!